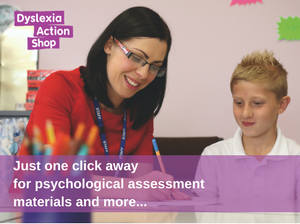 Dyslexia Action Training offers two possible routes to train as a specialist SpLD teacher. May wish to progress to a Level 7 Specialist Assessor course on completion. Wish to complete their MA with Middlesex University on achieving 120 credits with Dyslexia Action. The Level 5 Diploma (DADIP61) and Level 7 Professional Certificate in Structured Teaching Intervention both confer eligibility for Associate Membership (ADG) of The Dyslexia Guild recognised as the first grade of professional membership for a specialist teacher and are also accredited by the British Dyslexia Association for Approved Teacher Status or Approved Practitioner Status (ATS/APS).